A multivitamin formulated for woman who need iron. • Calcium: Studies indicate that 80% of all American women are deficient in calcium. 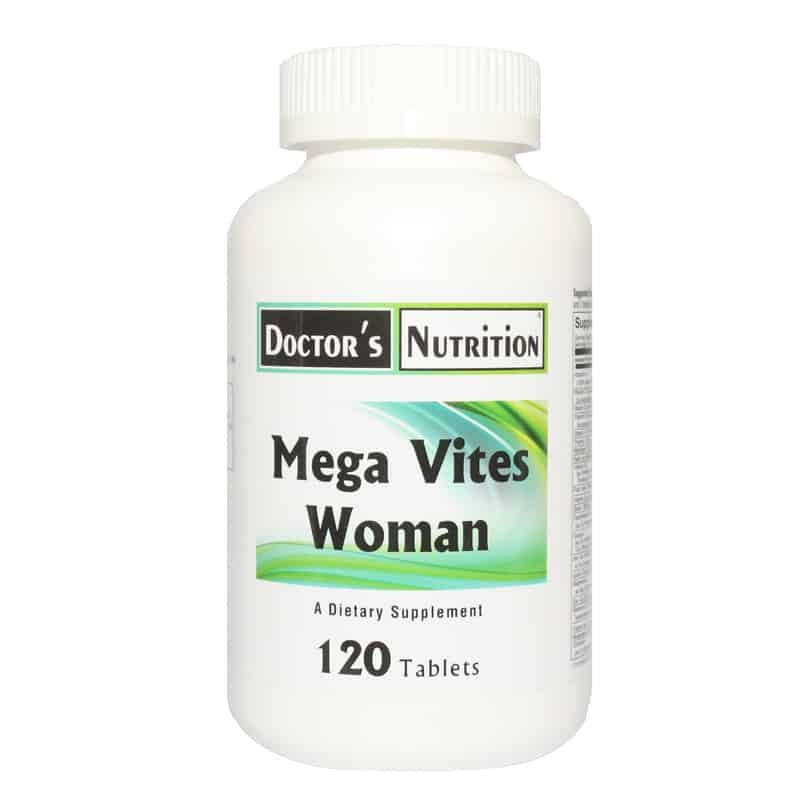 Mega Vites Women contains 100% of the RDA for Calcium. • Grape Seed Extract is a rich source of a group of water-soluble bioflavonoids known as proanthocyanidins (PCOs). Grape Seed Extract is guaranteed to yield 95% PCOs. * PCOs are potent antioxidants and have also been shown to strengthen capillaries. * Bruising, varicose veins and abnormal menstrual bleeding are associated with weak capillaries. A proprietary blend of vegetarian enzymes: amylase, protease, lipase, hemicellulase, and lactase 8 mg.
Other ingredients: stearic acid, cellulose, calcium stearate, silicon dioxide, pharmaceutical glaze. • Suggested Use: As a dietary supplement, take 2 tablets with breakfast and 2 tablets with lunch, or as professionally directed. †ChromeMate® brand niacin-bound chromium. ChromeMate® is a registered trademark of InterHealth N.I.